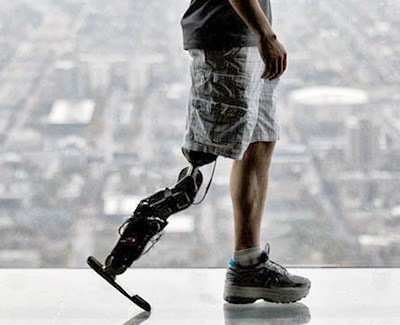 Until now, the only thought-controlled prosthetics available to amputees were bionic arms. But this leg will soon be available to the more than one million Americans with leg amputations. It was developed by lead scientist Levi Hargrove at the Rehabilitation Institute of Chicago. The leg’s movements are controlled by a person’s original nerves, which are redirected to a small area of the thigh muscle. When these redirected nerves instruct the muscles to contract, sensors on the amputee’s leg detect tiny electrical signals from the muscles. These signals are then analysed by a specially-designed computer program which decodes the type of movement the patient is trying to perform (like moving the knee or ankle). It then sends these commands to the robotic leg. 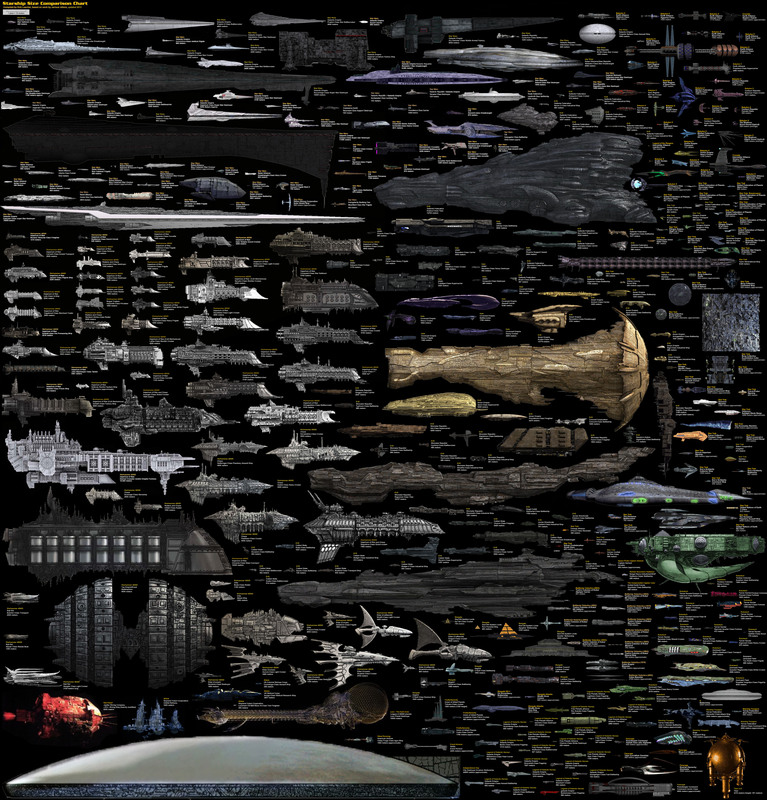 This comparison chart, compiled by DeviantARTist Dirk Loechel, presents what he says is an accurate size-comparison between famous sci-fi starships. 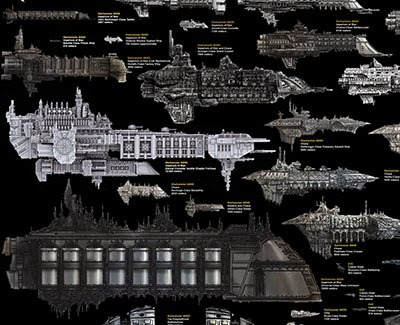 As far as I can tell it's got more or less every single sci-fi starship ever, from Star Wars to Warhammer to EVE Online to Halo and way, way beyond. 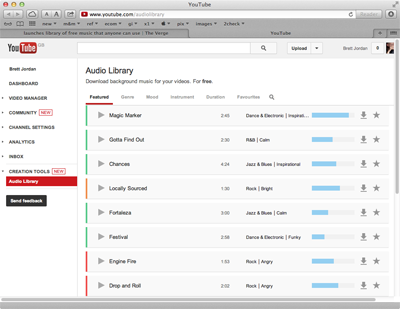 YouTube includes a number of simple production tools to help film makers improve their projects, and today it's launching a library of royalty-free music that can be used in any video. The YouTube Audio Library is launching with 150 tracks in genres spanning from funky dance and electronic to sappy country tunes, all of which can be streamed and downloaded as 320kbps MP3 files. Tthere are some gems within the collection that do a great job representing their genre without feeling like a knockoff product, giving filmmakers easy access to royalty-free music. There are 60 images in the gallery. 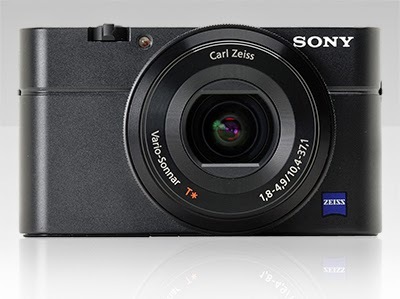 Digital Photography Review has posted a full review of Sony's upgraded high-end compact camera. It feels almost greedy asking the RX100 II to do more than it does. As it is, it takes exceptional pictures for a camera of its size, offers a wealth of manual shooting and customization options, and takes great video. It does everything and more you'd expect from a compact, and quite a few things you'd expect from a bigger camera. The Sony Cyber-shot RX100 II produces some of the best images we could ever expect to see from a compact camera. It's not the best shooting experience, but Sony has pushed the limits for this category and produced something really innovative. Is the RX100 II worth the cost of a mid-range interchangeable lens system? And would you be better off saving some money and buying the now-discounted RX100 instead? That depends. If a slightly-less-noisy ISO 3200 JPEG is worth an extra $150 to you, then the RX100 II will be the better investment. If you can live with a little more noise, don't care much for a tilting LCD and don't plan to use Wi-Fi sharing, then you're better off with an RX100. 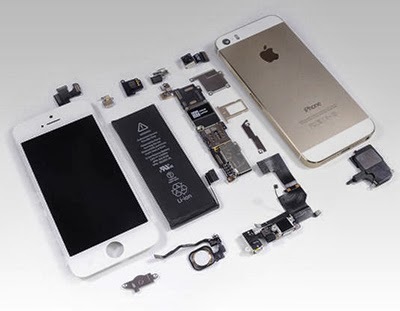 The gleeful geeks at iFixit and ChipWorks have torn apart Apple's latest flagship iPhone, the 5s, and inside they found a lot of glue and a few surprises. "This is an 's' version, which means it's speedier, more secure, superior – or similar – to its predecessor," said iFixit's Gwendolyn Gay in a video accompanying the teardown. In addition to the new A7 processor, the fingerprint sensor, the improved camera, and the sensor-wrangling M7 chip – is a higher-capacity 3.8V battery than its predecessor: 5.92Wh and 1560mAh, compared to the iPhone 5's 5.45Wh, 1440mAh power source. Its fingerprint sensor is a bunch of very small capacitors that creates an 'image' of the ridges on your finger, based on technology from AuthenTec, acquired by Apple in July 2012. Being avid advocates of the "Right to Repair", iFixit rates each product it tears down with a 1-to-10 reparability score. Their rating for the iPhone 5s gives that "s" a few more possible interpretations: "six" is the score, which makes it "sorta" repairable. The benefits of the power-saving sensor-management capabilities of the M7 chip won't be fully realized until developers take advantage of its CoreMotion API, and the advantages of the A7's 64-bit ARMv8 architecture offers developers – including Apple's – a goodly amount of potential for the future. 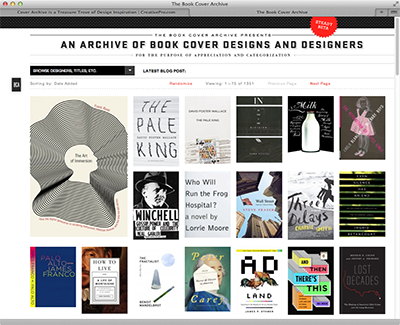 Next time you feel the need for a little visual inspiration, head directly to bookcoverarchive.com and be prepared to spend some time browsing over 1300 cover designs. Click on a cover to get a close up view with info about the designer, publisher, author. You can also choose to view covers by a specific designer. 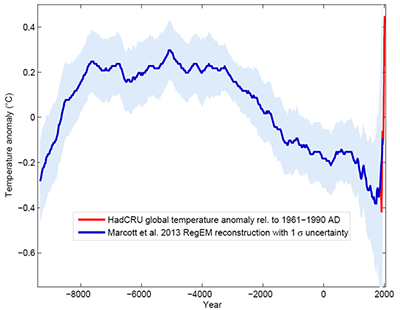 For the first time, researchers have put together all the climate data they have (from ice cores, coral, sediment drilling) into one chart that shows the 'global temperature reconstruction for the last 11,000 years'. The climate curve looks like a "hump". At the beginning of the Holocene - after the end of the last Ice Age - global temperature increased, and subsequently it decreased again by 0.7°C over the past 5000 years. The transition from the relatively warm Medieval into the 'little ice age' turns out to be part of a much longer-term cooling, which ended abruptly with the rapid warming of the 20th Century. Within a hundred years, the cooling of the previous 5000 years was undone. Ricoh has unwrapped what it claims is 'the world's first mass-produced' 360 degree imaging device. The device features a twin lens that captures the scene around, above and below the device in one shot for fully spherical images. 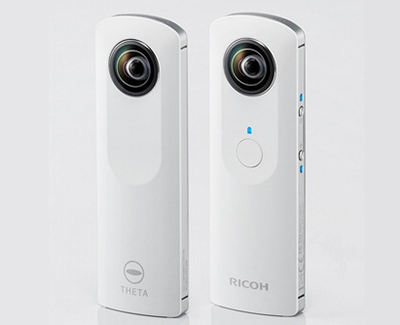 Ricoh said the Theta will work with Apple iOS 6.0 devices and newer. Android compatibility is expected before the end of the year. 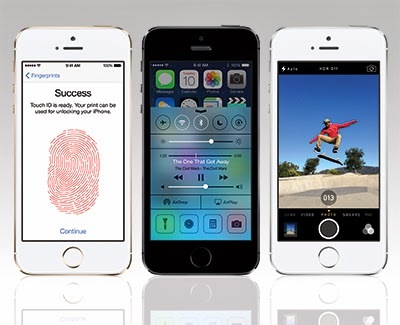 The handheld device will be sold for £329 and will go up for pre-order this month. Sony has introduced a pair of digital cameras designed to attach directly to your smartphone. The QX10 and QX100 are cameras that clip onto your smartphone, which is used to operate the camera and view photos. The compact QX10 has a 1/2.3" sensor while the QX100 has a large 1-inch-type sensor and fast 3.6X zoom lens. The QX100 is essentially a Sony Cyber-shot DSC-RX100 II without an LCD. The cameras are priced at $250 and $500, respectively. 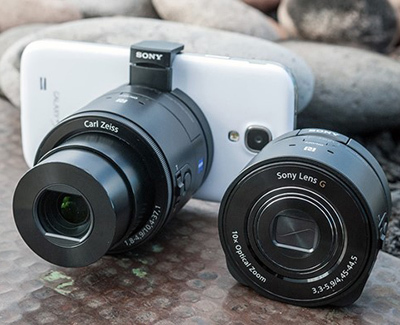 The Sony Cyber-shot DSC-QX10 and QX100 offer a totally new way of shooting on your mobile device. These cameras leave the world of tiny sensors and fixed lenses behind, offering you a choice of high zoom power or excellent photo quality. But are they worth the price? The QX10 features an 18-megapixel sensor and a 10X optical zoom lens. Sure that's more pixels than any smartphone - aside from a few Nokias - but will the typical smartphone user notice the difference? As for the zoom, you can pick up teleconverters such as this one for a lot less that the QX10. Sure, you can't zoom in and out, nor will the image quality be as good, but $35 is a lot cheaper than $250. While it's based on the RX100 II, the QX100 is a bit underwhelming. On the positive side, it offers the same high-quality lens and sensor as the camera on which it is based. That said, it's missing quite a few features, including shutter priority and manual exposure modes, adjustable ISO sensitivity, Raw support, and Full HD video. Add in the bulk and the price ($500) and you might be wondering if you should just carry around a premium compact camera instead. 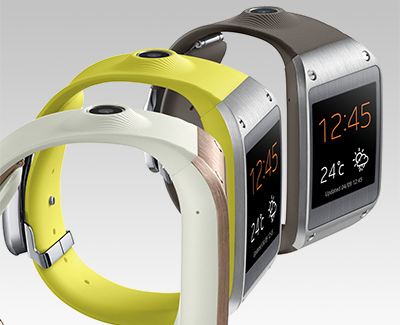 The $299 Galaxy Gear is quite unlike anything you've seen before. Yes, it's a smartphone accessory that can pick up notifications, control music playback, and keep time with a rich variety of watch faces, but Samsung takes it a few steps further by integrating a 1.9-megapixel camera, a speaker, and two microphones — allowing you to shoot short 720p movies and even conduct phone calls with the Galaxy Gear. It is not a phone in its own right — it relies on a Bluetooth connection to your Samsung Galaxy device in order to do most of its connected work. When it goes on sale later this month, the Gear will be compatible with the freshly announced Galaxy Note 3 and Galaxy Note 10.1 2014 edition, while software updates for the Galaxy S4, Galaxy S III, and Galaxy Note II are in the works to introduce compatibility there as well. It features a 1.63-inch Super AMOLED display with 320 x 320 pixel resolution, a single-core 800MHz Exynos processor, a metal face and buckle, and a selection of six different shades of adjustable wrist band. Basic onboard apps include a pedometer and the ability to find your Galaxy, but most impressive is the number of compatible apps. Samsung says there's over 70 to choose from — which can be installed via the Galaxy Gear Manager app on your phone, including Pocket, Path, Evernote, RunKeeper, and Runtastic Pro. There are a couple of significant downsides that temper my enthusiasm for the new Gear. 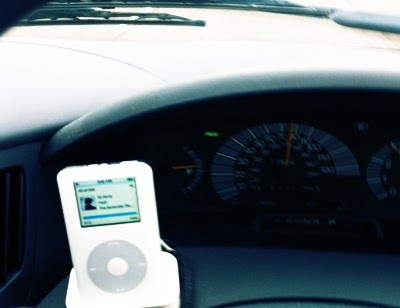 First and foremost is the speed and intuitiveness of the user interface — or rather, the lack thereof. There's a tangible lag to anything you do with the Gear, while the swipe gestures are hard to figure out and do different things depending on where you are in the menus. Additionally, the speaker built into the buckle is too quiet and makes conducting a phone call via your watch a possibility only in quiet areas; it also doesn't play back any music, it just controls output on your connected device. Samsung promises "about a day" of endurance from the Gear, but by the end of our briefing with the company, the cameras on most of its demo units were refusing to turn on due to the watches running low on power. On the plus side, the camera built into the Galaxy Gear produces surprisingly decent pictures and there's 4GB of onboard storage to stash them on if you're away from your smartphone. The Galaxy Gear will launch globally in late September and will be available in the United States in early October. The video is a demonstration of a piece of 3D object extraction and manipulation software that made its debut at SIGGRAPH 2013. The software was developed by Tao Chen, Zhe Zhu, Ariel Shamir, Shi-Min Hu and Daniel Cohen-Or. 3D objects are extracted from 2D images using a '3-sweep' method: two strokes to define the profile of the object, and one along the main axis. Depending on the complexity of the shape, sometimes parts have to be outlined individually, but the result it always the same: the software pulls an editable, movable 3D model straight out of a 2D photo. The software’s current limitations mean that certain objects don’t scan in as well, and the texture of the extracted model often looks a bit strange. 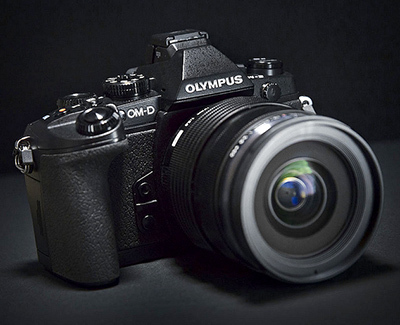 Digital Photography Review has released a hands-on preview of Olympus' recently announced flagship Four Third/Micro Four Third hybrid. "There are two distinctions that set the E-M1 apart from its little brother (the E-M5) - a more sophisticated autofocus system and a 'buttons for everything' design approach." "The biggest technological step forward on the E-M1 is the addition of on-sensor phase detection elements, giving the camera two distinct focus modes. The phase-detection system is used when lenses from the original Four Thirds system." "The E-M1 gains the 2.3m-dot electronic viewfinder panel we first saw as the VF-4 accessory for the PEN E-P5. The optics give a viewfinder with magnification of up to 1.48x, which puts it only a fraction behind the 0.76x viewfinder in Canon's 1D X and ahead of Nikon's pro-grade D4 DSLRs. "There's a more advanced processor in the E-M1 that conducts a variety of lens corrections, when creating JPEGs, including correcting for chromatic aberration and correcting sharpness on a per-lens basis. "The biggest difference between the E-M1 and the E-M5, though, is the degree of direct control on offer. We really liked the E-M5's twin-dial control system, but the E-M1 goes beyond that by providing button-and-dial combinations for quickly changing almost every imaginable setting on the camera, quickly." For early reviews, visit ePhotozine, Robin Wong and Ming Thein. Sure, your smartphone has the ability to record voice memos, but using it means you have to know ahead of time about something you'll want recorded. Kapture is an always-on audio-recording wristband — so any time you feel the need to capture the last 60 seconds of audio, all you have to do it tap it, and it instantly saves. And, with the included smartphone app, you can store, edit, share, and replay your old audio clips for as long as you want. To find out more, visit the Kickstarter page. The Greyp G12’s downhill-inspired dual-suspension frame, hydraulic brakes, and beefy midsection straddles the line between bikes and bicycles, and there are pedals if you feel like doing some work yourself. 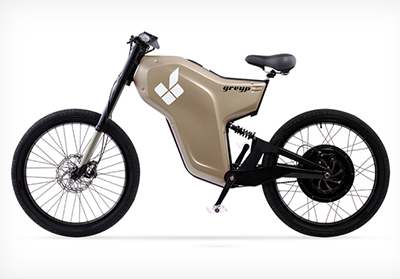 Greyp says that the G12 can do 40mph unassisted and gets 75 miles on a single charge. (The 1.3 kWh battery cells pictured above push the bike's total weight to nearly 110 pounds.) Recharging from nothing takes just 80 minutes with a standard 220V outlet, after which you’ll be able to unlock the bike with its built-in fingerprint scanner. The G12's retail price and availability are still up in the air, but the price for dealers is €6,000. Sony’s SmartWatch 2 is a £129, good looking water-resistant Android watch that is meant as a second screen for any Android 4.0 phone. It lets you read texts and emails as well as check social media without having to take your phone out of your pocket. The SmartWatch 2's body is made from aluminium painted black with a machined edge showing off the silver beneath. It’s a good-looking, industrial design utilising the round power button used on the range of Xperia phones and tablets. All other controls are via the touch screen, with the usual Android back, home and menu touch buttons at the bottom. The transflective 1.6-inch LCD screen is bright enough to be viewed even on the sunny day we got our hands on it and is just about big enough to use comfortably. It’s only 220 x 176 pixels which on the 1.6-inch amounts to 176 PPI. That’s not an amazing resolution by any stretch, but text is legible enough, although pixels are clearly visible. It features Bluetooth 3, NFC for easy pairing and microUSB charging and data transfer. 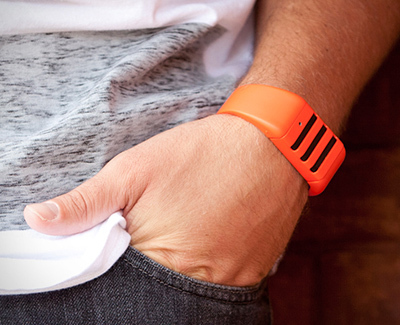 The microUSB is covered by a flap to ensure the SmartWatch 2 retains its IP 57 water-resistant rating. Gentle vibrations make you aware of new notifications which you can check. There is also the ability to answer and reject calls or use the watch as a viewfinder to take photos via a paired phone. There’s no microphone or speaker. 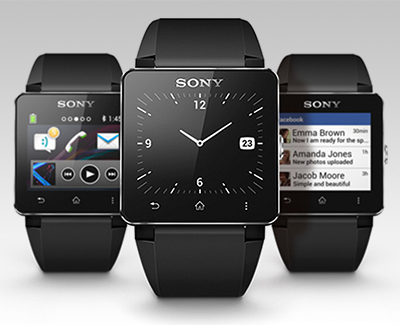 The Sony SmartWatch 2 is always on and can last for up to 4 days under normal usage conditions. 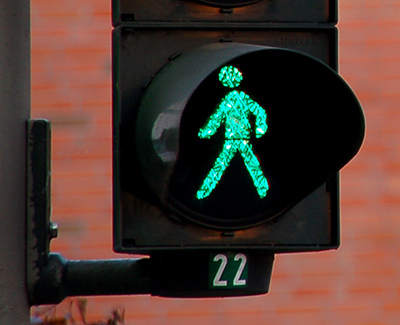 Does pressing the pedestrian crossing button actually do anything? The BBC has published an informative article on this subject. At a standalone pedestrian crossing, unconnected to a junction, the button will turn a traffic light red. At a junction it is more complicated. At night, the button does act to stop the traffic, but only between the hours of midnight and 07:00. In the daytime, the button has no effect. 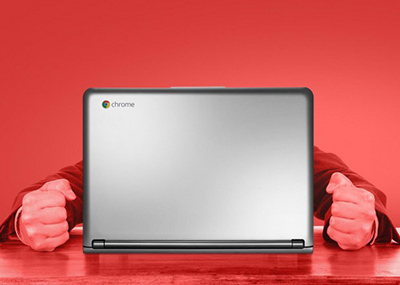 If you're thinking of purchasing Google's £1,049 Chromebook Pixel, Jeffrey Van Camp's Living with a Chromebook for a week is like 7 minutes of heaven, then 7 days of hell" article is worth a read. In case the title isn't too much of a clue, here are some excerpts from John Gruber. "The biggest realization came for me when I turned on my MacBook Air after a week. (I had to because I needed to take a Skype call.) It was so... fast. And I could use every Chat service I wanted. And the battery life was much better than the Pixel. And it was so much lighter. And I could run the full version of Spotify. And I could open iTunes. And I could edit Microsoft Office documents without a lengthy conversion process. And I could use Dropbox. And it didn’t slow down for me. And, best of all, I could use the Chrome browser, and every Chrome app I had installed, on my Mac. It was wonderful and such a relief to not have to think about what I couldn’t do, or worry if my next email attachment will open or not." "Some readers say I’ve expected too much out of Chrome, but wanting to edit some documents, chat outside a browser window, and use common services is not excessive." To anglicise Gruber's conclusion... "How can someone 'expect too much' from a £1,049 notebook? 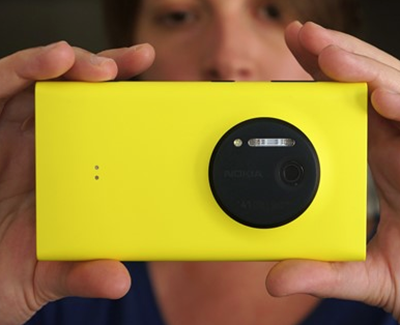 Digital Photography Review Connect has published an in-depth report on the Lumia 1020's 41 megapixel camera. The Nokia Lumia 1020’s innovative zoom and impressive image quality set it apart from all competitors. By nearly every metric, it takes better pictures than any other phone on the market. 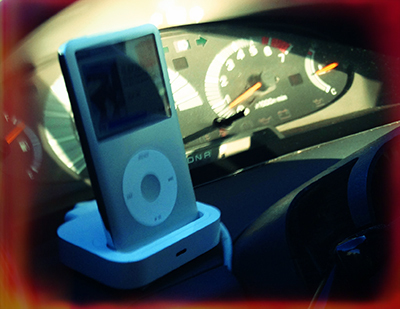 Its imaging Achilles heel is its camera app’s sluggish shot-to-shot and start-up times. While many phones feel nearly instantaneous on both fronts, the 1020’s four-second delays can feel very long. Whether you find this negligible or nauseating depends on your personal style of photography.